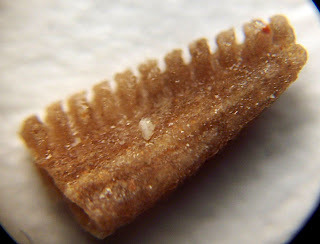 I am basing this identification off a picture on the KYANA Geological Society website (http://www.kyanageo.org/Fossils/mississippian/echinodermata/pentremites-conoideus.jpg). 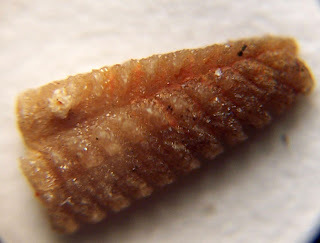 It is of a Pentremites conoideus blastoid in the Salem Limestone of Floyd County, Indiana. 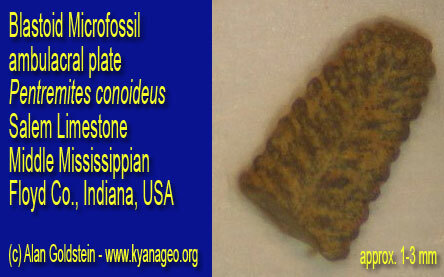 It is from the Middle Mississippian Period. The two pictures shown here are of a fossil from the Salem Limestone of Washington County, Indiana.